More information about how permeate pumps work. A permeate pump is a special device for undersink reverse osmosis units that uses the hydro power of the brine (drain water), to pack the permeate (product water), into the storage tank. A standard reverse osmosis unit is controlled by an automatic shutoff system that shuts down water production when pressure in the storage tank reaches about 2/3 of the inlet water pressure. In other words, if your city water pressure is 60 pounds (psi), your reverse osmosis unit will stop producing and storing water when pressure in the storage tank reaches about 40 psi. For most household purposes, this is plenty of pressure and the RO unit will run wonderfully. The same RO unit with a permeate pump and 60 psi coming in will continue to produce water until pressure in the tank reaches almost 60 psi. This is especially helpful for low-pressure installations. If, for example, you have a well system that provides only 40 psi, a standard RO unit will run, but it won't run well. The unit will shut down when tank pressure reaches 25 psi or so. With a permeate pump, the unit will put almost the full 40 psi into the storage tank. 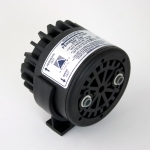 What's best about the permeate pump, though, is the increased efficiency. With a standard shutoff system, as the storage tank fills, the RO unit must push against an increasing amount of storage tank pressure. With the permeate pump, the unit is shielded from this pressure and the membrane works in a virtually pressure-free situation, even when the tank is almost full. A slight intermittent thumping noise — not really loud, but you'll know when it's running. This is sometimes an issue with the ERP-1000 pump. The ERP-500 is silent. It's not easy to install on an existing RO unit. (However, it makes new units no harder to install). We don't recommend that you attempt to retrofit an existing RO unit to permeate pump operation unless you're willing to go to a little trouble. We can provide instructions and phone support. A slight increase in TDS (total dissolved solids) reading under normal household operation. This situation is often called “TDS creep.” Because of technical issues beyond the scope of this explanation, TDS readings for the unit may be slightly higher than without the pump. This is normally not a significant disadvantage, and it is offset by the greatly enhanced pressure performance, especially with low-pressure installations. And, if you take lots of water out of the tank at one time, you'll most likely experience improved TDS performance. “TDS creep” occurs only when the RO unit is controlled completely by the permeate pump. If the pump is used in conjunction with the standard shutoff system, TDS creep is not an issue. Greatly improved water pressure from the RO tank, especially in low-pressure installations. No electricity used, and no electrical connection (as compared with electric booster pumps). Much greater efficiency. The unit does not have to push against the pressure of the storage tank. The ratio of product water to waste water improves significantly. 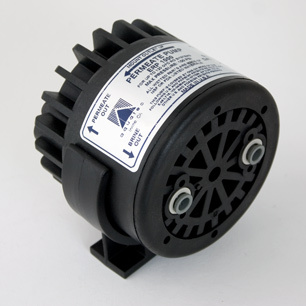 Permeate pumps include instructions, screws and mounting bracket. Order based on the gallon per day production of your membrane. ERP-500 — For membranes up to 50 GPD. ERP-1000 — For membranes up to 100 GPD. Installing the Permeate Pump With a Shutoff Valve. Although the pump controls the unit completely and does not need a shutoff valve to turn production off, some users prefer performance with a shutoff valve. If the pump is installed with a shutoff system, the shutoff system, not the pump, controls tank pressure. With a standard shutoff system in place, you'll still get 2/3 of the incoming water pressure in the storage tank. Our recommendation is to always leave off the shutoff valve if your incoming water pressure is low. With strong inlet pressure, take your choice—the unit will perform excellently with or without the shutoff system. We don't sell or recommend so-called “90% shutoff valves” that are sometimes recommended for use with permeate pumps. Go here for instructions for installing the pump with a shutoff valve.